If you are a fan of science fiction you may have seen many instances on the screen of seemingly miraculous medical technology and devices as also surgical and healing techniques in use. You may be surprised to know that some of these are already in use and many are in the testing stage. Considering that 100 years ago, medicine was comparatively primitive, it has made great advancements in a very short time. The driver for this is modern technology. Devices are getting smaller and more efficient. There is more automation used, freeing up human time. Results are often instantaneous as is communication. At the same time instead of just treating diseases, the focus is now on better care, health and disease prevention. There are also many targeted therapies available that are either tailored to the individual’s problems or for disease treatment. Most people work, whether they work in offices, on the shop floor, in factories, in construction sites, in the service industry or even at home or from home. Let us see how modern technology and devices are improving workers’ health. Protective clothing – in dangerous conditions, workers must have protective clothing. Think of firemen, for instance or demolition workers. Machinery and equipment checks – when large or small machines are used by workers, they should be well maintained to minimize the possibility of any accident and ensure worker safety. Adopting safe working practices – any potential dangers should be minimized and reduced wherever possible and doing whatever is necessary for this. Safety barriers – these are flexible and can be put up wherever required and moved as well. These can demarcate safe and dangerous places on the shop or factory floor or even on construction sites. LED displays and digital signage – these are easy to read and notify workers of dangers. They are an effective form of communication between workers and administration. Drones – these can be used in dangerous and hazardous areas to collect data. In the case of chemical or radiation dangers, drones can be quite helpful instead of sending people out to see and assess the damage. Software technology – companies can use software technology combined with 3D visualization to make workers more aware of situations and conditions and prepare them better. This helps workers learn about potential risks and dangers before venturing into the field. When various modern technologies are used in the workplace, they help motivate the workers and ensure better health and safety for them. More than ever before, modern technology has given new and improved devices. If you consider something simple like eyeglasses that many people wear, you may be pleasantly surprised to know that lenses are now available that cut out harmful blue light that a worker is exposed to. Along with anti-glare coatings, scratch proof and anti-fog coatings the lenses in the glasses offer greater clarity of vision and less stress on the eyes. Ergonomic desks are another modern innovation that helps in greater physical fitness and result in fewer back problems among workers. These desks are designed to make working more comfortable. 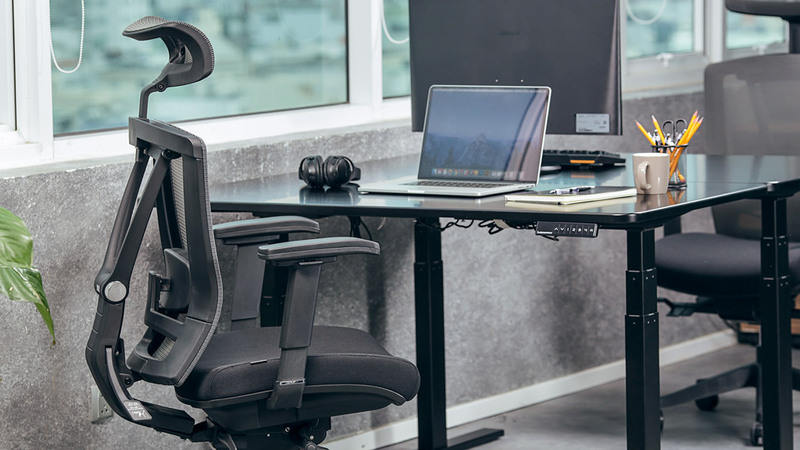 Apart from ergonomic desks, there are also moveable and height adjustable ergonomic chairs and sit-stand desks or desks with changeable heights so that workers and sit and stand alternately. High-speed communication and data transfer offer employees the option of flexi-time working and working from home. This has shown to increase efficiency and enables greater worker attendance. It also allows for workers from different parts of the globe to interact in real time via video and teleconferencing, reducing the necessity of spending time and money in actual meetings. CEO and top echelons of the company can also interact with workers no matter which part of the world they are in. These are only a few of the benefits of modern technology that help improve worker health and well-being and increase productivity and efficiency. Increasingly AI has entered many activities of daily life. The ubiquitous smartphone is now a device you can talk to. A smart home works with your smartphone to activate and de-activate many household appliances, devices and even manage heat and light appliances and machines. In the office, AI is now used to sort our emails into categories related to their order of importance. Your Google calendar can remind you of things that need to be done quickly. Chatbots can answer questions and help with work, reducing the need for human interaction. This reduces worker stress – and stress is a major contributory factor in many diseases. AI is also in use to process workers’ compensation seamlessly. It acts as a bridge between the insurance company, the employer and the employee affected. The worker receives healthcare advice tailored to his needs and gets the care required in a short time, improving recovery times. This saves on health care costs and reduces absenteeism. Many companies are also embracing modern technology devices included wearables that can track physiological and physical changes among the workers and notify if the worker suffers an injury. Some companies are also using AI to predict injuries or for risk assessment before they occur so that they can take better care and adopt more efficient safe practices. Medical data is now almost always shared across various platforms. You can always message or email your doctor or healthcare provider quickly and even send across test results and reports and your doctor can do the same so that you get your medicines and treatments sooner. But when using blockchain for the distribution and sharing of all kinds of records on public and private platforms, the data is more easily shared. This technology ensures that you have access to your records and other information and these can be viewed and exchanged by participants without fears that your privacy is violated. That is because of advanced cryptographic usage and keys that go through a verification process before you or another person on the chain can access the data. However, this still has a long way to go before it offers large scale integration with existing healthcare systems. The most exciting developments are on the newest or even yet to be developed smartphones. There are a number of health apps on smartphones (last recorded number is 100,000) that are available that improve the health of workers (and others). Apps are available that can track your diet, ensure that you drink enough water and stay hydrated, keep an eye on your sleep cycle, educate you regarding your diet, help you lose weight and stay fit, check how many steps you have walked in a day and also help you with mediation and relaxation to reduce stress. In case you have any incipient heart problems or just want to know, you can download a heart rate app that will monitor your heart rate. Then there are different ways that smartphones can be used as diagnostic tools. There are devices that can be plugged into the smartphone that can conduct an ECG, used as a stethoscope, carry out blood tests, used instead of a conventional ultrasound machine, conduct hearing tests and even carry out DNA sequencing. With a fast diagnosis, with quicker contact with a doctor, you can get the treatment you need instead of letting things go and get worse in the bargain. In some instances, using modern technology can help save lives as well. When you are busy at work and don’t have time to go to the doctor or to a lab for testing, use your smartphone. Many of these apps and programs can also communicate directly with your doctor so that you get the care and treatment you need. This way you can stay on top of your health and work more efficiently as well. Are there any negatives associated with the use of modern technology on health? Everything seems positive, but is it really so? Surely, there must be some negatives associated with the increasing use of and dependence on modern technology on health. You can get addicted to using modern technology. You are always switched on because you are checking your phone, television, computer for updates, entertainment, social networking, etc. You may actually be working longer hours since you are never away from your work because of easy accessibility thanks to the internet and the phone. You can suffer from eyestrain with unrestricted screen time. It is possible to suffer from dry eyes, headaches, blurred eyesight and tightness around the eyes. You can have joint stiffness and pain from sitting too long, using a keyboard or your fingers on the phones, have shoulder and neck problems and others that can escalate. You can suffer from sleep disorders because your mind is always on and you keep your phone next to you even when going to sleep. Because you can use apps for everything, you may actually be less physically fit. However, there are things you can do to increase the positive and decrease some of the negatives associated with the increasing use of technology. How to use modern technology in ways that benefit you? In life, there are many things that carry both advantages and disadvantages. To reap the maximum benefits you need to balance things and see what you come out on top and minimize the disadvantages. Modern technology has made work easier and more efficient in some aspects. Offices now also have wellness and health programs that you can take advantage of to improve your health and stay healthy. As far as possible avoid using phones and computers during non-working hours. If you are not ‘on’ all the time (unless you are in a job that requires you to be), you will find it easier to achieve a work-life balance. When in office, do stretching exercises to prevent muscle cramps and joint stiffness. Follow certain rules to rest your eyes. The 20-20-20 rule is a good bet. After 20 minutes of screen time, look 20 feet away for 20 seconds. Don’t forget to blink often to avoid dry eyes. You can set a repetitive alarm on your phone that will remind you if you get caught up in work. Move more in the office – physical activity is always good, not only from the point of view of fitness and calories burnt but also so that you are not stuck to your desk. Go for a lunchtime walk – when you take your lunch outdoors, you benefit from being in the open air and away from the closed environment and also give your brain a break. When you return to work you will feel fresher. Exercise by going for a run, to the gym, or even by exercising at home or going for a swim. When you are away from your phone, you will reduce any phone addiction that you may have. Use your health and mindfulness apps to your advantage and know when to switch off. It is only when you are physically, mentally and emotionally healthy that you can perform well in your working life.